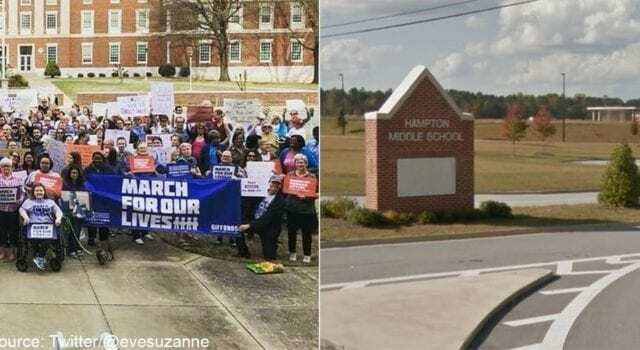 Hampton, GA – A 7th Grade social studies teacher tasked with teaching his students about Asia, Africa, and the Middle East, recently gave his students an assignment to write a letter to Congress supporting gun control. Blue Lives Matter obtained a copy of the assignment. William Lee told Blue Lives Matter that his son brought the assignment home from school and showed it to him. “I asked him what he had for homework that night, and he said he had to write a paper on gun control,” said Lee, who is a law enforcement officer in another county from where his son goes to school. “I said uh oh – let me see the assignment,” the father said. After reading his son’s homework assignment from Sanders, Lee went into the Google classroom and checked the assignments. The teacher wrote back to Lee and told him that it was fine, and that he wouldn’t mark off his son for not turning it in, he said. Previous articleHas CNN lost its Luster?